What’s cooking in the urban kitchen? Unfortunately in many city kitchens, the answer is either not much or something premade, easy and not always the healthiest. The urban generation in China is the largest in the world.
. Over the next 35 years, 76% of China’s population is projected to move into urban centres. Preparing meals at home can be challenging for the millions living in cities. Everything from long work days to cheap and convenient fast food options makes choosing to cook fresh and balanced meals difficult. But these dietary choices are also contributing to the rise of type 2 diabetes in cities around the world. The production of food, growing crops and domesticating animals, provided the means for early civilisation to settle and begin living in dense populations. These settlements that started appearing more than 10,000 years ago were the first step towards today’s cities, now home to half of the world’s population. The rise of farming changed how people lived in significant ways. Fewer people needed to focus on producing food which gave rise to specialised tasks such as builders. Farming also resulted in less land needed to support higher numbers of people. After harvesting crops, food surpluses made it possible for societies to remain in one place and live off stored food throughout the year. According to research on how early civilisations developed, the change from nomadic hunters and gatherers to settled, dense populations released a wave of technological and human advancements.1 And it all started with food. Fast forward to the present and the role of food in city life has somewhat changed. According to Peggy Liu, one of the leading green voices in China, the rise of megacities like Shanghai and Tianjin have left a generation of people without daily access to small markets of farmers with fresh food. Today’s urban shopper is much more likely to go to supermarkets where premade and packaged foods, often high in salt and fat, are in abundance. The urban generation in China is the largest in the world. Over the next 35 years, 76% of China’s population is projected to move into urban centres.2 The current generation is already susceptible to the convenience of fast and packaged food. Peggy is concerned that the situation could get worse for future generations, especially if current trends continue. The increase in packaged foods has added not only more calories to the Chinese diet, but also salt and industrial flavouring like MSG.3 The dietary transition, together with decreasing levels of physical activity, is thought to be a key contributor to the current prevalence of type 2 diabetes and other non-communicable diseases. 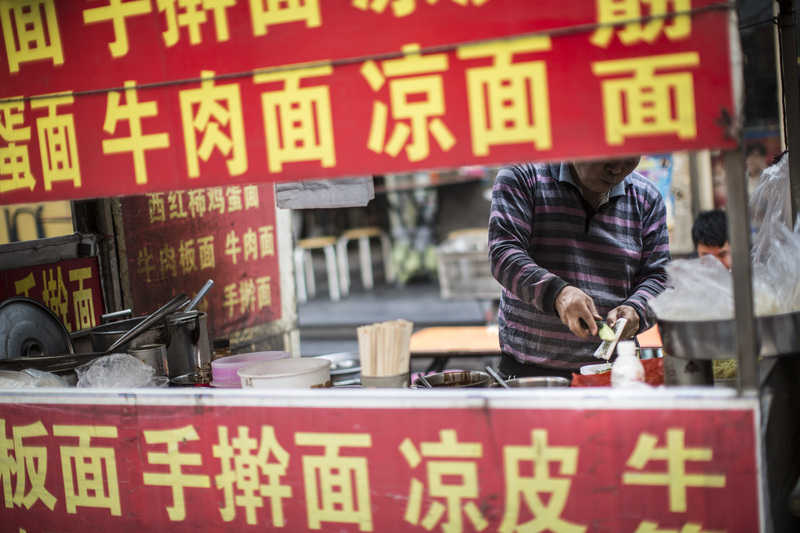 Combined, Tianjin and Shanghai have an estimated three million people living with type 2 diabetes.4,5 By 2040, this number could double if action is not taken. One of the main challenges has its roots in food shortages that plagued China more than 50 years ago. For the generation over 65, the memory of hunger and scarce food resources is still fresh in their minds. With the opening up of Chinese markets in the 1990s, things changed quickly, as one 68-year-old woman with type 2 diabetes attests to: “There was nothing good to eat in the past. I can remember that when I gave birth to my son, even the eggs were in ration. There was nothing to eat at that time, not like now, when we can get everything. There is no difference between normal days and spring festival, as every day is like a festival.”6 The impact of this can be seen in the younger generation of today. They are being raised by a generation that was not taught to cook.“Mothers and fathers did not learn how to cook because of food shortage during the Cultural Revolution,” explains Peggy. “Fast food has replaced everything.” Peggy also attributes food safety concerns to Chinese parents’ preference for fast and packaged foods. All of this points to an urgent need to improve dietary education, something Peggy has been passionate about for nearly a decade. Peggy founded JUCCCE8 in 2007, an organisation aiming to foster sustainable cities. As food is the single largest source of greenhouse gases, JUCCCE aims to identify trigger points where small resources connected to the right people and key decision makers on the ground can make big change in China. “JUCCCE’s A New Way to Eat programme is a great example of partnering with government organisations, schools, and food providers to create change quickly,” says Peggy. “We are teaching primary school kids how to eat and in a way that is good for them and the planet. Over time, Peggy believes A New Way to Eat can affect 1.4 billion people's dietary habits if food culture is influenced top-down through national government mandates. In recent years, Chinese officials have begun revising nutritional frameworks and combining health and sustainability. 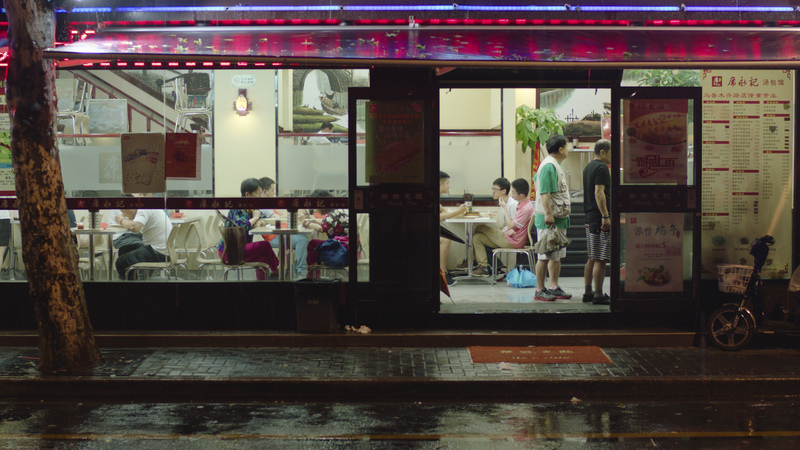 Watch this video with Peggy Liu about urban food. 1. Diamond, J. (March 1997). Guns, Germs, and Steel: The Fates of Human Societies. W.W. Norton & Company. ISBN 0-393-03891-2. 2. UNDESA. United Nations Department of Economic and Social Affairs. World Urbanization Prospects, the 2014 Revision, Highlights. 2014. 978-92-1-151517-6. 3. Monosodium glutamate (MSG) is a flavour enhancer commonly added to Chinese food, canned vegetables, soups and processed meats. 4. Hart JT. Rule of Halves: implications of increasing diagnosis and reducing dropout for future workload and prescribing costs in primary care. Br J Gen Pract 1992; 42(356):116–119 and Smith WCS, Lee AJ, Crombie IK & Tunstall-Pedoe H. Control of blood pressure in Scotland: the rule of halves. BMJ 1990; 300:981–983. 5. Novo Nordisk, Data on file. 2015. 6. Urban Diabetes: Understanding the challenges and opportunities. Qualitative research carried out by Shanghai Diabetes Institute. Cities Changing Diabetes briefing book 2015. P 52.